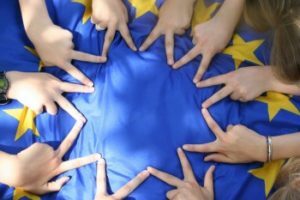 Every year, European Commission dedicates one week to highlighting solidarity and social commitment of young people in Europe. This years’ Youth Week falls in the first week of May (from 1st until 7th May). This week represents a chance to inform communities throughout Europe about opportunities within Erasmus+ programme. It is also an opportunity for young people to proactively be involved in shaping future EU Policies. “Shape it, Move it, Be it” is this years’ slogan and spells out the aims of the European Commission. There will be many conferences in Brussel where attendees will have the opportunity to discuss future EU Youth Strategies. The conferences will host not only many experts within their field but also many representants of youth policy, youth workers and Member State Authorities. You can look forward to many events and activities organised across 33 countries. Each of these countries is a member of EU’ Erasmus+ Programme.